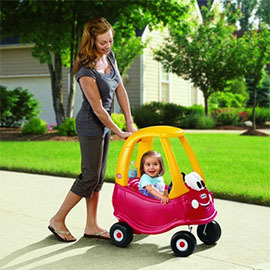 Ride-on toys for 2 year olds are a popular choice if you’re looking for a special Christmas or birthday gift. Here’s my round-up of the top 5 best ride-on toys for this age group. I have included a toy tractor, dumper truck, motorbike, train and a cuddly dragon, so you should find a ride-on toy to suit any 2 year old boy or girl. This John Deere ride-on tractor is very well made, as you would expect of a genuine John Deere toy. The bonnet opens and closes, the wheels are large with good grip indoors and outside, and it even comes with a detachable trailer. 2 year olds and older children will love riding around on this toy tractor transporting their toys and any other objects they can find! This ride-on tractor toy is suitable for children from 29 months up until 5 years old. It’s certainly big and strong enough to last throughout this age range. Children can adapt the way they use it as they improve their mobility and strength and learn to play more independently. The Rolly Toys JCB Dumper Truck is a truly fantastic ride-on toy for 2 year olds. As a genuine JCB toy, it’s very robust and well made and will withstand plenty of use. It’s a close runner-up being the John Deere ride-on tractor. The front dumper actually tips, so children will enjoy using it to move objects and toys around and dump them. The wheels are large and rugged with plenty of group. This ride-on dumper truck is quite big and is suitable for 2.5 year olds up to age 5. I completely agree with this age range as it is nice and safe for 2 year olds, but big and strong enough to remain a firm favourite into their early school years. 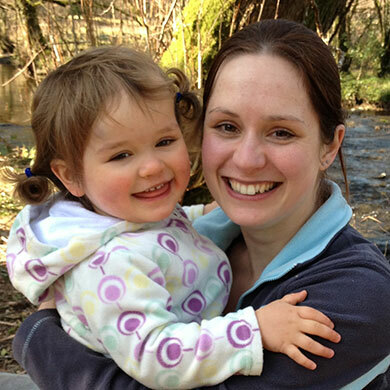 Younger 2 year olds will enjoy being pushed around by a parent, whereas older pre-school children can learn how to use the anti-slip pedals to move around independently. This Ride-on Thomas the Tank Engine toy is easily one of the best ride-on toys for 2 year olds. It comes complete with Thomas the Tank Engine – just the right size for a 2 year old to ride-on – plus a trailer and 22-piece train track set. 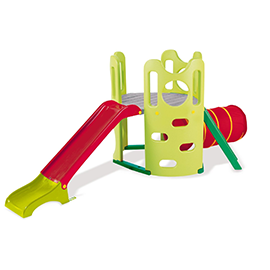 Children aged between 1 year and 6 years old will enjoy riding on the ride-on Thomas (either independently or being pushed by a parent) and putting together the track in different combinations. And if that wasn’t enough, Thomas the Tank Engine even plays the theme tune and other sound effects! The ride-on train is battery powered and includes forward the reverse gears which the child can control themselves. The 6V battery is rechargeable and the charger is included. If you’re worried about an electric ride-on toy not being safe for a 2 year old, don’t be. This Thomas the Tank Engine ride-on moves very slowly so children won’t hurt themselves if they try to get on and off while it’s moving. I think it’s a brilliant idea to combine a ride-on toy with a train set. I have never seen another toy like this – what a unique idea! 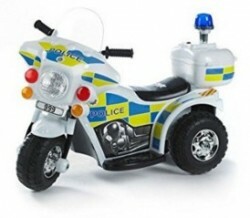 There are lots of electric ride-on toys available, but this police bike is very popular and is also suitable for 2 year olds. It has several features which you won’t find on most battery-powered ride-on toys such as working headlights, police siren, flashing lights, forward and reverse gears. This electric police bike is best used outside, but can be used indoors if you’re careful (but what 2 year old is careful?!). It’s faster than the electric ride-on Thomas the Tank Engine also featured in this article, and children will enjoy whizzing around. It’s powered by a 6V battery and comes with an adapter. I am ending my list of the 5 best ride-on toys for 2 year olds with something completely different. The Wooden Puffy Dragon ride-on toy is everything that the other toys in this article is not. It’s cute, it’s soft and it’s cuddly. Yes, it’s also more babyish than a toy tractor or motorbike – but this is a big winner with 2 year olds. 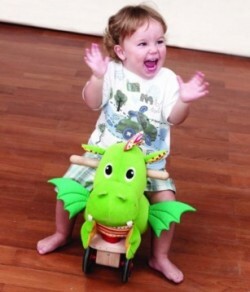 This ride-on toy dragon is suitable for 1 year olds and over. It’s definitely aimed at the younger end of the 2 year old market, and probably won’t appeal much beyond age 3. However it’s a lovely gift for a younger 2 year old and will provide plenty of enjoyment. Puffy Dragon has cute crinkly ears, a beeper and wooden handles for little hands to hold on to. The handles can also be used to steer it. 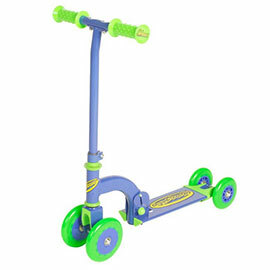 It can be used as a walker or scooter for children who are still getting their balance. You can even remove the wooden base and use it as a cuddly toy without the wheels. I would say that the John Deere Ride-on Tractor is the best ride-on toy for 2 year olds. It’s just so well made that you can’t really beat it. Yes, it’s not electric or battery powered. It’s not cute or cuddly. However it has plenty to engage the imagination of 2 year old boys and girls alike, and will grow with them until they’re much older.